If you’ve been staring with concern at your energy bill wondering where all that cost came from, it’s probably time to think about replacing your furnace. These days, homeowners want warmer houses for cheap, and that’s no small matter: the energy needed to heat your home can cause close to 50 per cent of your monthly utility bill! That’s why high-efficiency furnaces have become so important for the modern Canadian homeowner: they’re quiet, reliable, powerful, affordable, effective at maintaining steady comfortable temperatures in the home, and can reduce your energy bill by up to 45 per cent when replacing an older system. If your furnace was installed before 1992, it is probably obsolete. In an effort to curb energy waste and pollution, the Canada’s Energy Efficiency Act, which was passed in 1992, instituted standards for manufacturers that required every new furnace to turn at least 78 per cent of its fuel into heat. On May 1, 2013, these minimums rose to 80 per cent. All new models sold must meet or surpass this; efficiencies climb as high as 98.5 per cent with the best models. So, if your gas or oil-burning furnace was installed before 1992, you’re probably sending 30 per cent or more of your energy dollars up the furnace flue, and pumping up to four tons of carbon dioxide, the “greenhouse gas,” into the atmosphere each year. In fact, if you have an older forced-air furnace operating at very low efficiencies, it probably produces about half the heat it could be providing on the same amount of fuel. High-efficiency furnaces are known as condensing furnaces. They burn fuel to heat air, then a blower fan distributes warm air through ducts to your home. As the exhaust gases cool, they condense or turn to water. This system extends the life and efficiency of the unit. Standard-efficiency furnaces convert roughly 80 per cent of the energy from gas into heat. High-efficiency furnaces convert 90-98.5 per cent of the energy from gas into heat (depending on the model). This means they are environmentally friendly, as well as saving you up to hundreds of dollars a year on your utility bill. Some models even have an energy-efficient motor for the fan or blower that uses less gas and electricity, and significantly reduces the noise of the furnace itself. High-efficiency furnaces are an investment; they cost more up front but pay for themselves over time by saving you money. Though the initial cost of a high-efficiency furnace is more, there are FortisBC rebates available as well as financing option that significantly help lower the price, and make the investment worth it. 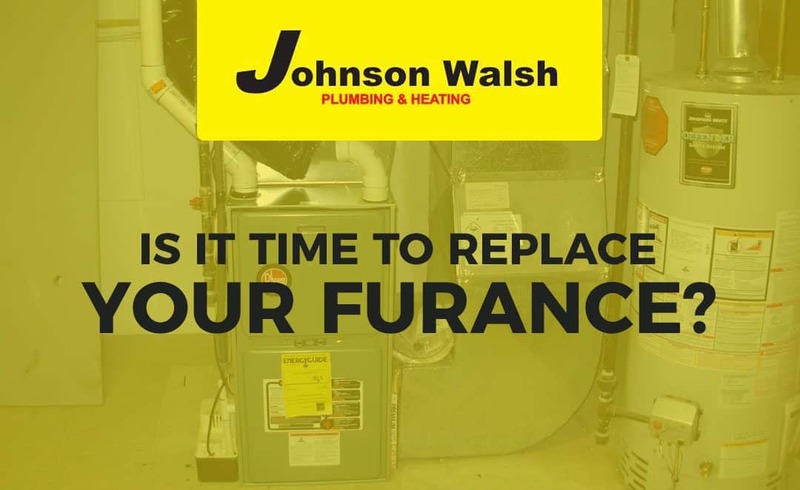 To learn more about high-efficiency furnaces, contact us at Johnson Walsh Plumbing & Heating. Whether you are interested in plumbing and heating in Kamloops, fireplaces, furnaces or air conditioning services in Kamloops, we are here to serve you.